DISABLED AMERICAN VETERANS CHAPTER 57 TAUNTON, MA. to the Taunton Global War on Terrorism Committee. The Taunton Global War on Terror Committee (G.W.O.T.) was formed to find a proper site and erect a lasting memorial to all the men and women who have served in the Iraq and Afghanistan wars. Recently, a site was approved on historic Church Green to erect a monument to these brave men and women. 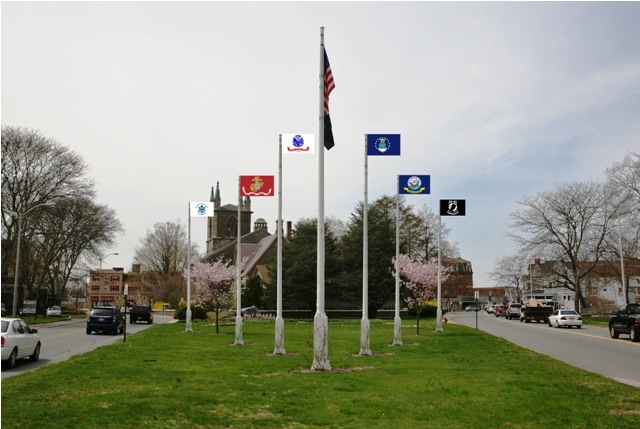 The monument will include six flag poles and a commemorative brick walkway and will be located adjacent to the Vietnam Memorial Fountain. We are now in the fundraising phase of our project, which will culminate with a beautiful ceremony tentatively planned for Spring 2012. 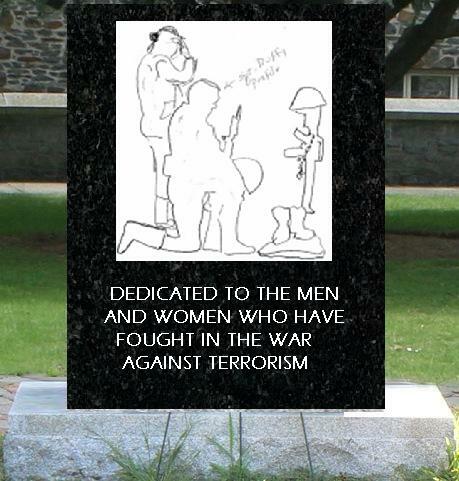 We, the GWOT Committee, hope you will consider donating to this beautiful black granite monument. A one eighth-page ad in the dedication program. 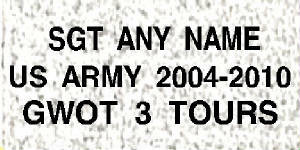 Checks should be made payable to “GWOT COMMITTEE” and mailed to Veterans Services, 141 Oak St. Taunton, MA 02780. 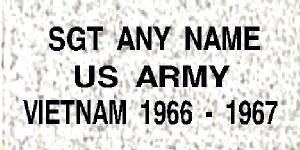 This Memorial will include granite brick walkways that can be engraved and personalized in honor of men and women that have served the United States Armed Forces in any war. Below are sample bricks. There is a maximum of seventeen spaces on each of the three lines. The order form for the Bricks is in PDF Format. Just click on either Brick and the form will open.You may type your desired text on the form, then print it out and mail it to the address listed on the form. Click on either brick to fill out an order for one brick You may order multiple bricks but a form must be filled out for each one.